As your wealth grows, life doesn't get simpler.... it gets more complex. Are your trust and estate plans current? 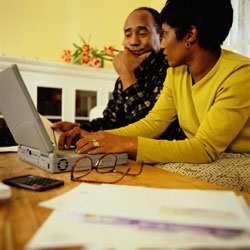 Is your retirement plan effective? What if you could track all your finances in one location? 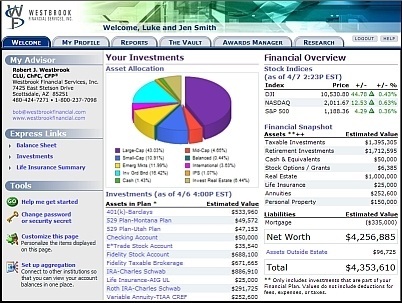 See your entire financial picture at once? 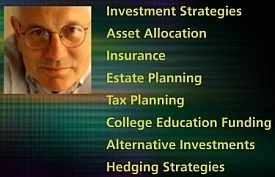 With the help of your advisor team, evaluate your situation easily, and develop effective strategies for the future? Stay informed and avoid big surprises? 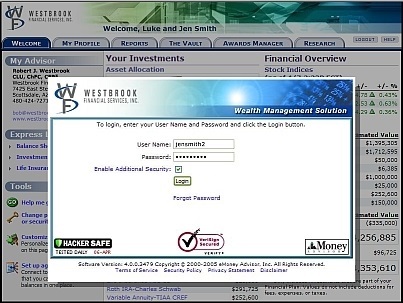 Introducing Our Revolutionary New Wealth Management Solution! Take advantage of our easy-to-use, web-based financial planning and account aggregation platform. With our system, you are always up to date and organized. Get a snapshot of your finances at a glance. 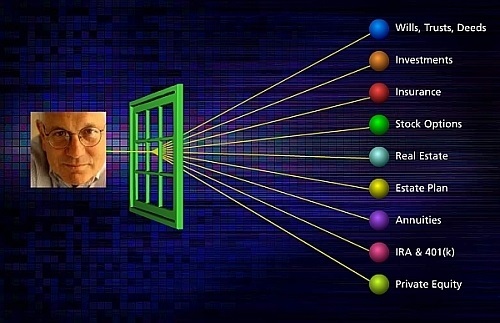 All of your information is password protected in a secure, encrypted personal web address, easily accessible only to you and your financial advisor team. 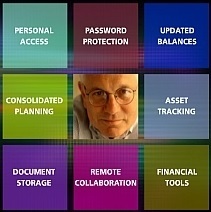 Store copies of all your documents in a secure online vault. 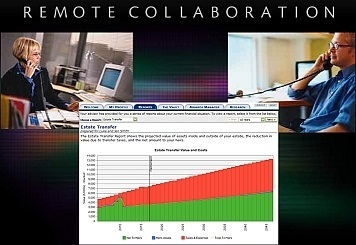 Collaborate with your financial advisor team from remote locations.